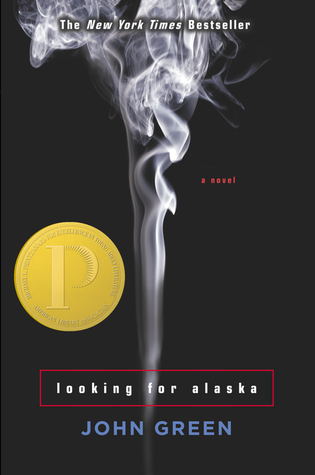 Lolaloop Books: Looking for Alaska by John Green Book Giveaway! I was chosen as a giver for World Book Night this year (squee!) and am giving away copies of Looking for Alaska by John Green. I fell in love with John Green books after reading The Fault in Our Stars (I know, I'm late to the party). I love the characters so much and it is a great read! If you would like to win a copy, comment with your email address. If you want to avoid the spam bots you can post your email like this: name (at) website (dot) com. Sharing on twitter with the hashtag #lolaloopgiveaway gets you a second entry if you leave your twitter handle in your comment! The winner will be chosen randomly on April 30th, 2013. The winner will be contacted via email on May 1st. *Open to US only... sorry Canada (and everyone else)! If you're on a US military base it counts as US because you're awesome! Yay! Twitter handle(s) @TheAmyBarba as well as @ItsJustAmyzing! Congrats on being chosen as a giver for World Book Night!! You know, they chose you because you are AWESOME!!!! I used a random number generator to be fair (did best out of 10) and @TheAmyBarba won! Congrats!